I'm finally back from my vacay and trying to settle back into my NYC routine. 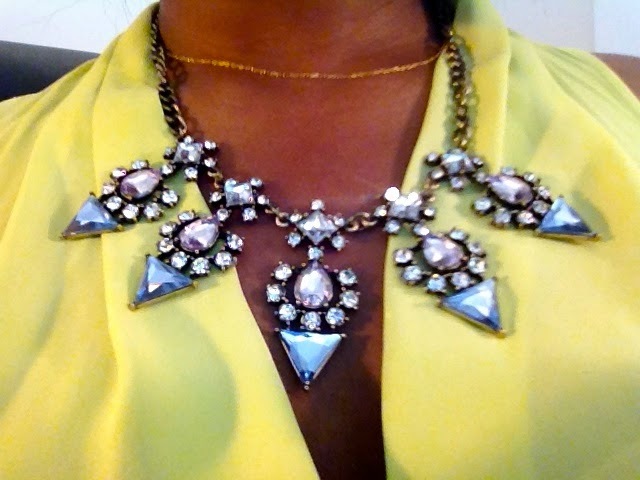 Lately I've been feeling like all my jewelry is old news, with I've had it for forever or it doesn't look as good as it used to. 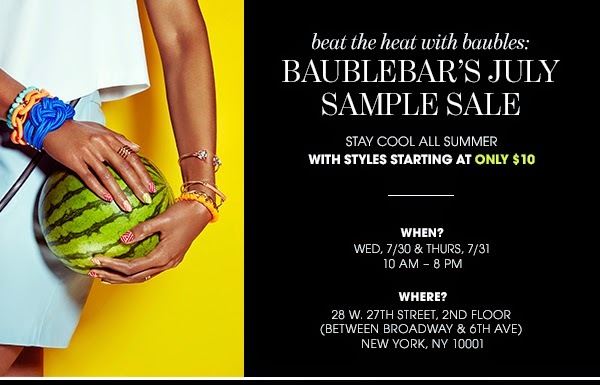 Causing me to be in desperate need of some new accessories so one of my first tasks was to stop by the BaubleBar sample sale. 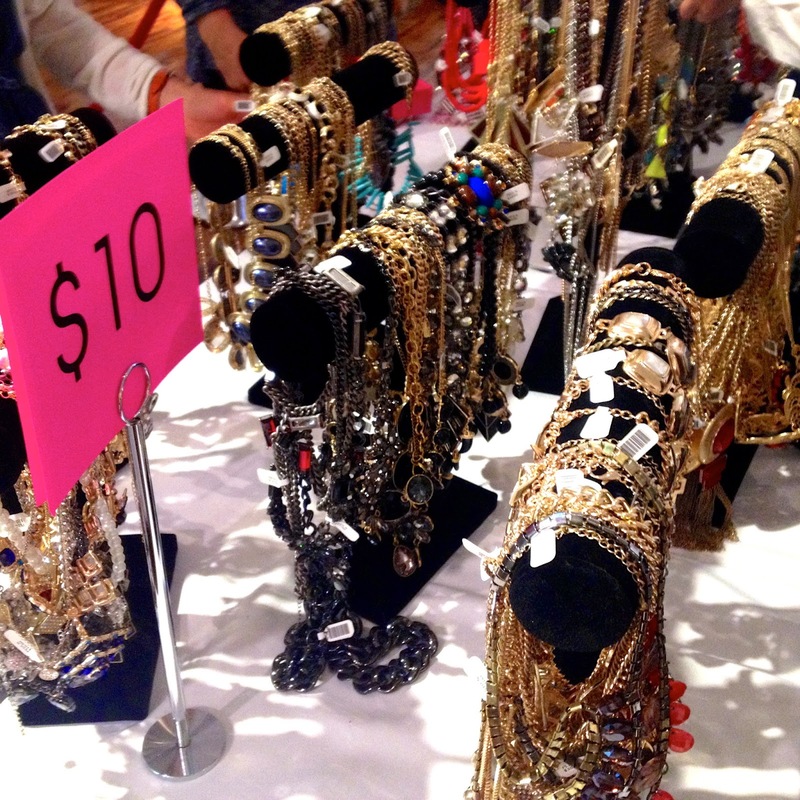 They have some pretty awesome deals; earrings & rings start at $5 and necklaces and bracelets start at $10. There was so much to select from it was almost overwhelming, but in a good way; like you knew you were going to find some great stuff! 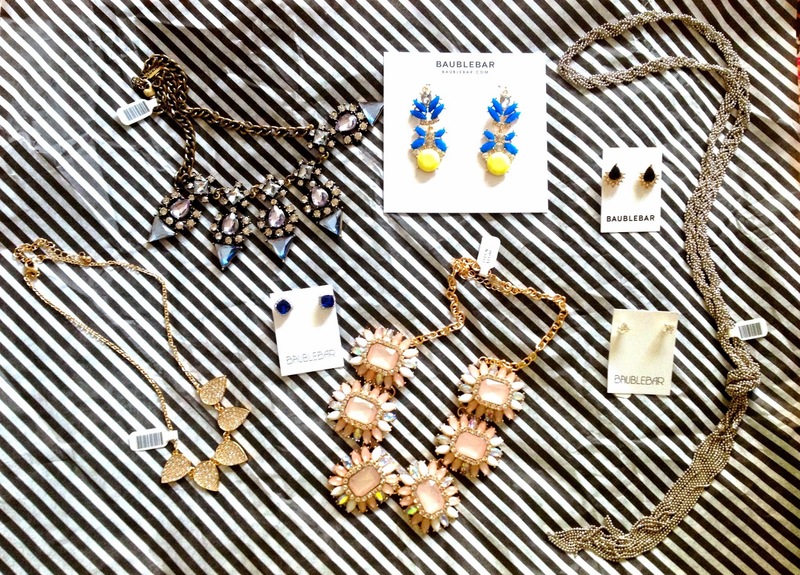 After going through my basket of everything I picked up on my jewelry overhaul search, I narrowed it down to 3 necklaces and 3 pairs of earrings and feeling satisfied. 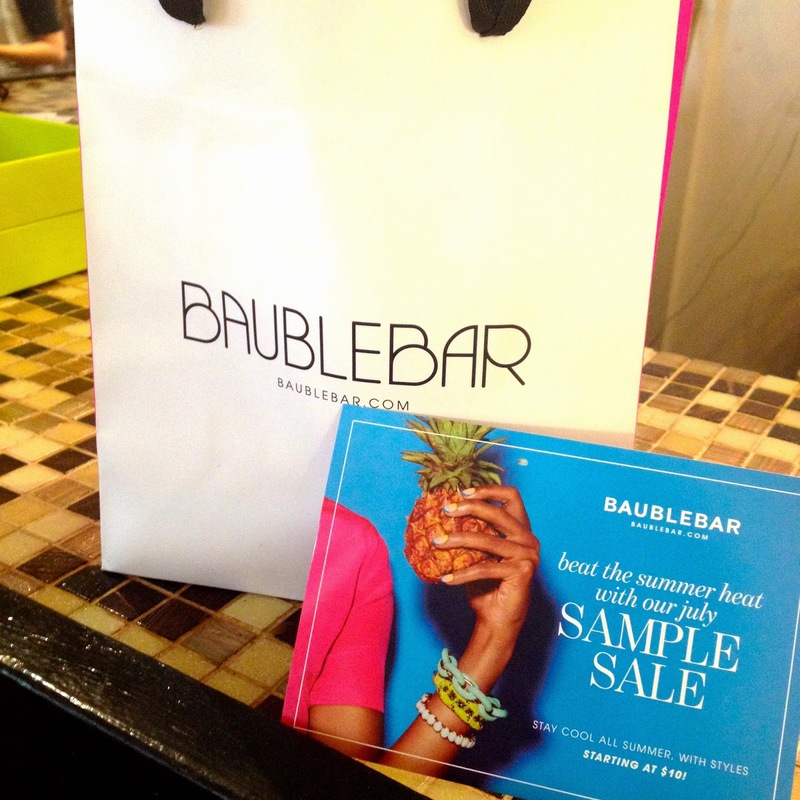 If you're in town or live here the BaubleBar sample sale continues today & tomorrow 10am -8pm!